The Top 10 Uses of Shea Butter Moisturizer for dry skin Eczema cream Blemish cream For softer smoother skin For burns Wrinkle reduction cream Moisturizer for dry hair Shaving cream Anti-itch cream Stretch mark prevention cream The Shelf Life of Shea Butter The shelf life of Shea butter is 18-24 months when kept in a cool dry place. After that time the healing properties of Shea butter are less effective but it is still a good moisturizer. Application of the Shea Butter Shea butter melts at body temperature. For easy application warm Shea butter onto palms until it is completely melted and smooth on. Shea Butter absorbs quickly, penetrates deeply and coats the skin with a fine film; thereby diminishing water loss and leaving the skin softened and protected. 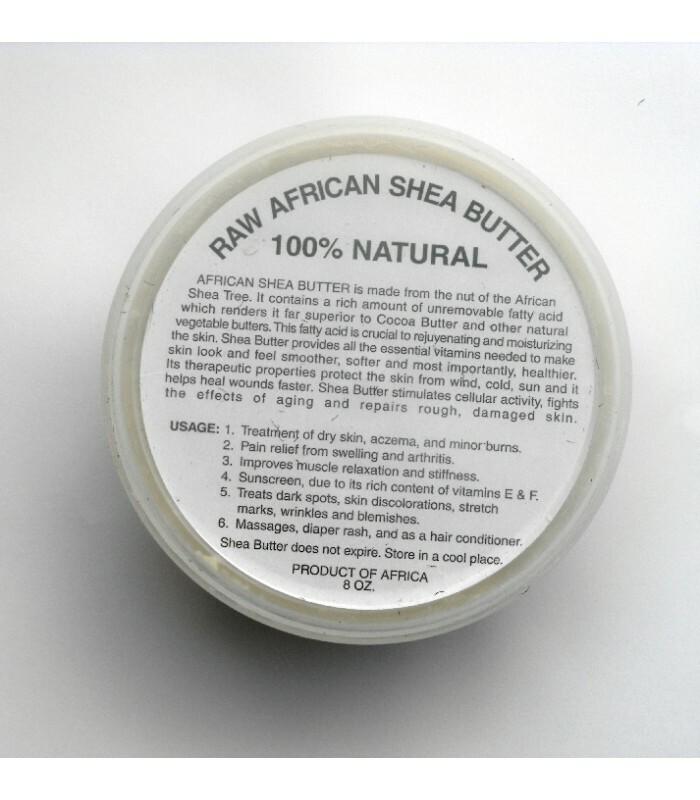 The Amazing Properties of Shea Butter Shea butter is the best natural product to protect, heal and improve skin. It is prized because it contains a real cocktail of elements good for the skin. Among these, is first a very high content of Essential Fatty Acids, more than in all other vegetable butter. These fatty acids are oleic, stearic, linoleic and palmitic acid. They play a very important moisturizing, softening, and anti-inflammatory role, and help renew the cutaneous cells. Shea butter also contains vitamins A, D, E, and K that have a recognized effect against skin aging. It is also rich in phytosterols with protecting and regenerating virtues. The manufacturing process has a great influence on the properties and efficiency of Shea butter. If it is refined or processed, it loses its vitamins and part of its efficiency. The Organic Shea Butter Company brings you a handmade certified organic Shea butter that is a guarantee of purity and higher quality.